We're happy to announce the release of a major new ActiveCollab update. It has something for everyone. New and improved reports for project managers, Xero integration for those who handle finances, iCalendar projects feed for all team members, along with many more small improvements and bug fixes. Let's look at the new features in more detail. 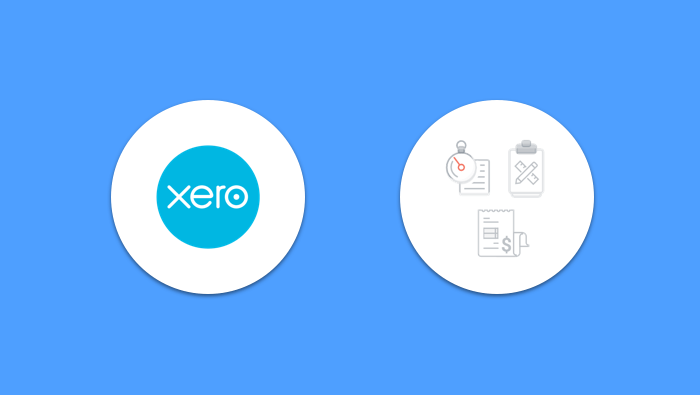 If you use Xero for bookkeeping and accounting, this add-on will save you a lot of time. Xero is an accounting software geared mainly towards small and medium-sized businesses. It features business payments, bill management, and payroll functions. When you create invoices based on tracked time and expenses, you can send them to Xero for further processing. Xero will effectively replace ActiveCollab as your invoicing engine, which means that you'll create invoices in ActiveCollab and then edit, issue, and manage them in Xero. To activate the integration, go to the Add-Ons section in your ActiveCollab and authorize access to your Xero account. For more information, see our help article. If you manage a large number of projects and need to keep track of their status, this is the report for you. Although there is already the Timeline Report that allows you to visualize projects in the Gantt chart form, we are adding this report as an easily exportable summary. It will list your projects, with all the data you need and give you the option to export to csv. Our time reports are simple. It takes only a few clicks to get the most important information. However, we realize that it might not be enough for many project managers, who need more in-depth reporting. Managers or clients might want to be presented with custom reports that show only selected pieces of information, structured in a specific way. That’s where the advanced time report comes in handy. It allows for more detailed data filtering. Also, if you are doing reporting on regular basis, you can create custom reports. Let’s say you need a report of all billable hours that haven’t been paid (with status Billable or Pending Payment) for the previous month across all projects, grouped by client. All you need to do is select these options and save the report. Each time you open Reports, the data will be just a click away. Invoicing can be hard work. It's sometimes hard to keep track and make sure you get paid in full and on time. Especially if you have many clients and versatile projects you need to charge for frequently. That's where ActiveCollab can help. With this new report, you can get a list of invoices that were partially paid and way past their due date or have a quick glimpse of unsent invoices that need to go out asap. To further refine the results, you can even select the table columns you want shown. As with other reports, you can save time by creating custom reports (Save as Preset option) and export them to csv. It’s very convenient to have all your tasks, meetings, calls, birthdays etc in a single calendar. ActiveCollab will now let you have just that. It can be Google Calendar, OS X Calendar, Outlook, or any other that supports iCalendar feeds. In addition to custom calendars, this update adds the option for all your project feeds, including task lists, tasks and subtasks. All you need to do is open the Calendars dropdown and click on Export, next to the project name. The same can be done from Project info. Then copy the link or download the file, depending on the requirements of the calendar you want to connect to. The feed is read only, which means that the changes you make in your calendar app will not be reflected in ActiveCollab. Many more new features and integrations are in the pipeline. We'd love to hear from you. Get in touch and let us know what you would like to see in the next update.